Dr. Paul Krogstad attended UCLA and received his Bachelor of Science in Cybernetics and a Master's Degree in Engineering. After leaving Los Angeles, he attended the Tulane University School of Medicine in New Orleans, Louisiana, where he also completed his training in Pediatrics. He trained as a specialist in Pediatric Infectious Diseases at the University of Washington in Seattle, then returned to UCLA for additional postdoctoral training in human retrovirology. 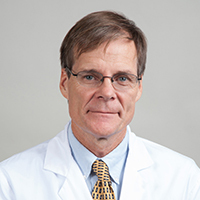 He joined the UCLA faculty in 1992 and is now a Professor in the departments of Pediatrics and Pharmacology. Dr. Krogstad's research has largely focused on molecular virology and the pathogenesis of viral diseases. His studies currently include evaluation of new treatments for HIV infected children and adolescents and the discovery of antiviral agents for enterovirus infections. In addition, he has collaborated with others in the study of Valley Fever (Coccidioidomycosis). Service to Hospital, Medical School, and UCLA AIDS Institute. Rudy BJ, Kapogiannis BG, Lally MA, Gray GE, Bekker LG, Krogstad P, and McGowan I. Youth Specific Considerations in the development of preexposure prophylaxis, microbicide, and vaccine research trials.J. Acquir Immune Syndr 2010;54:S31-S42. Kitchen CMR, Krogstad Pand Kitchen SG. In Vivo Validation of a Bioinformatics Based Tool to Identify Reduced Replication Capacity in HIV. The Open Medical Informatics Journal 2010; 225-232. Zuo J, Church J, Belzer M, Kitchen CR, Ank B, Schmid I, and Krogstad P. Enhanced CD8+ T Cell Apoptosis in HIV Infected Adolescents. AIDS Res Hum Retro 2010; 26:681-4. Wolf MC, Freiberg AN, Zhang T, Akyol-Ataman Z, Li J, Hong PW, Aguilar HC, Grock A, Honko AN, Johnson J, Porotto M, Damoiseaux R, Miller JP, Negrete OA, Krogstad P, Moscona A, Hensley LE, Whelan SP, Holbrook MR, Jung ME, Lee B. A novel, potent broad-spectrum antiviral targeting enveloped virus entry. Proc Natl Acad Sci. 2010;107:3157- 62. Miller JP, Geng YZ, NG W, Yang OO, and Krogstad P. Packaging Limits and Stability of HIV-1 Sequences in a Coxsackievirus B Vector. Vaccine 2009; 27: 3992-4000. Krogstad P, Hammon R, Halnon NJ, and Whitton JL. Fatal Neonatal Myocarditis Caused by a Recombinant Human Enterovirus-B Variant. Ped Inf. Dis J. 2008;27:668-9. Kitchen CMR, Nuño M, Kitchen SG, and Krogstad PA. Enfuvirtide antiretroviral therapy in HIV-1 infection. Ther Clin Risk Manag. 2008; 4:433-9. Lee JC, Boechat MI, Belzer M, Church JA, De Ville J, Nielsen K, Weston S, Geng Y, Dunaway T, Kitchen C, and Krogstad PA. Thymic volume, T-cell populations, and parameters of thymopoiesis in adolescent and adult survivors of HIV infection acquired in infancy. AIDS. 2006;20:667-74.